Hello, I am Anny, a graphic designer and illustrator who, not so long ago, have discovered a passion for surface pattern design. Always being driven by my love of all things creative, I have a desire to create purposeful art and to find enjoyment in the processes of making and learning. I am fascinated by both the perfections of nature and patterns and by the imperfections of handmade work and whimsical uniqueness. Ever since I was young, I’ve always been surrounded by a variety of artistic expressions. I believe this paved the way for my love for the arts. I pursued art throughout high school, earned a Bachelor of Arts in Graphic Design in college, and have since worked as both an in-house and freelance graphic designer. 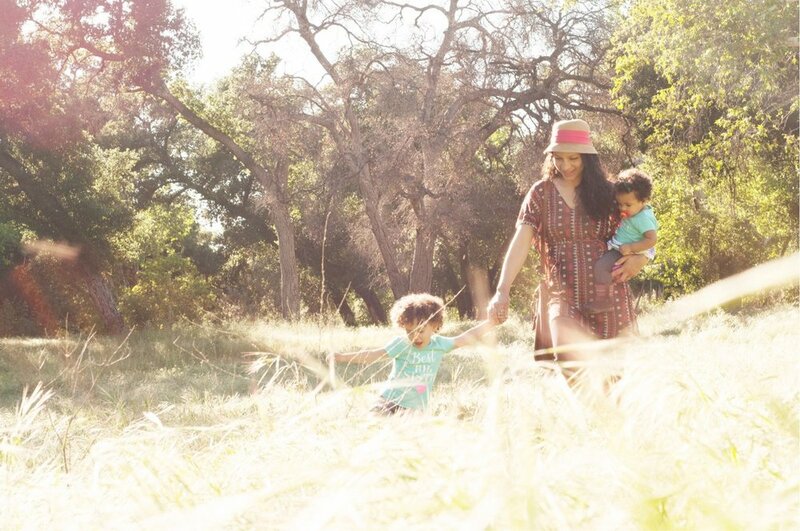 Currently, I am a full time mom who approaches motherhood from a creative perspective. When I see life through my children’s eyes, even the simplest of things in this world become a great source of inspiration. While arts and crafts are the activities I enjoy doing the most with my little ones, I have also learned to take advantage of every opportunity and have become a “naptime artist”! I live in sunny Southern California with my artist husband, Rommel Ruiz (also a designer), and our two joyful little girls. Thanks for your message! I'll contact you within the next 72 hours.